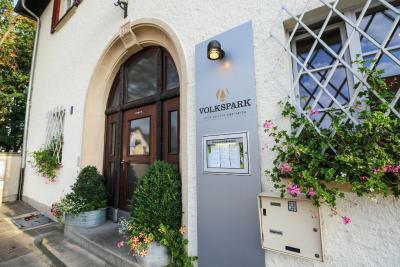 Lock in a great price for Volkspark – rated 8.8 by recent guests! 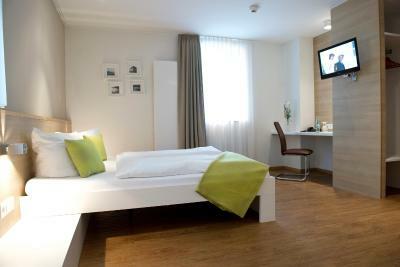 Very nicely designed hotel - an old building but modern and very new and stylish rooms. The location is outside of the centre, but it was easy to reach the city centre by bus and parking for the car was easy. Breakfast was good. Clean, comfortable, quiet and spacious room. Very comfy beds. 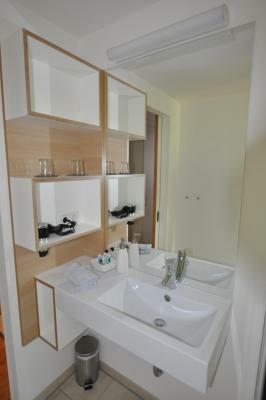 Large room, furnished in minimalist style, large comfy bed and adequate bathroom. Hotel has very busy beer garden, serving hearty food. (a favourite with locals). Breakfast adequate. On main road with easy access to motorway and Bamberg centre in opposite direction. Traffic noise not intrusive. Public park behind with free parking. 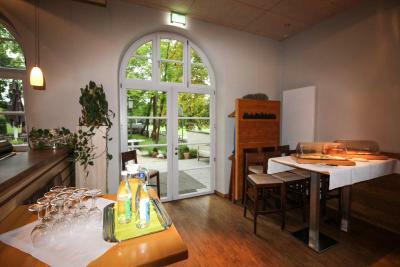 Really perfect accomodation, also food is really fine. People from hotel are very nice. The staff were so welcoming and their English is excellent. 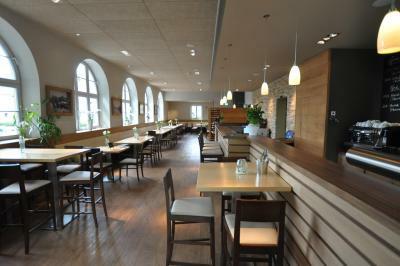 We didn't speak and German but the staff helped us translate the menus at dinner and lunch. 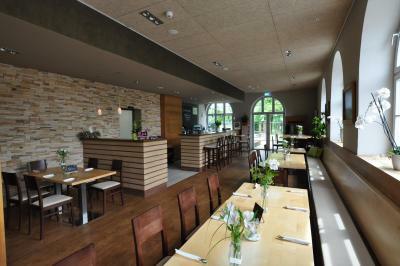 The restaurant at the hotel was excellent! Nothing can beat the open grill they have out in the garden during the summer time. I would recommend this to couples that like an interesting and historical place. We had a great time and would like to return! The guest house is charming and has all the necessary modern amenities. 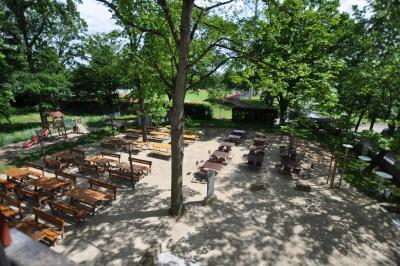 It has a great beer garden where we enjoyed dinner. 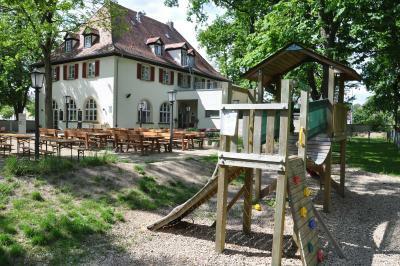 It is a little out of town situated on a main road but surrounded by parkland. You need to use a car or public transport to get into town. Our room was at the rear so we were not troubled by traffic noise. The rooms were comfortably appointed. 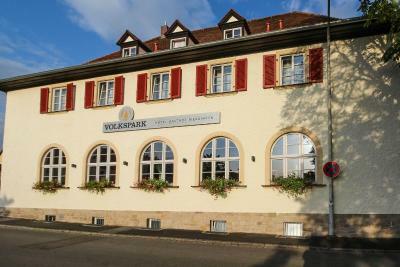 Located 2.2 miles from Brose Arena Bamberg, Volkspark in Bamberg features a garden and bar. 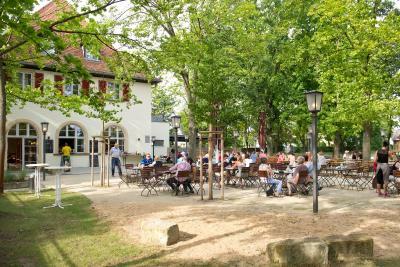 Located around 2.4 miles from Pedestrian Area Bamberg, the hotel with free WiFi is also 2.9 miles away from Concert & Congress Hall Bamberg. 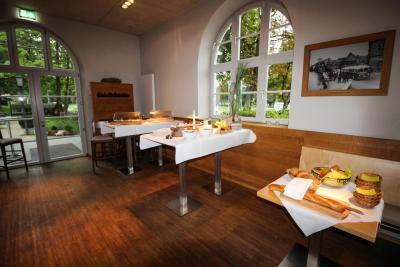 Guests can enjoy a selection of German dishes in the on-site restaurant. 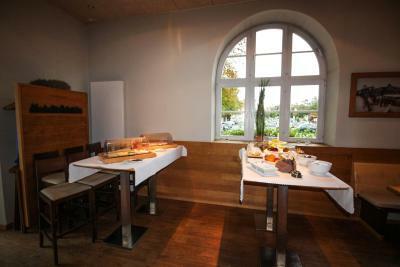 All rooms at the hotel are equipped with a seating area. 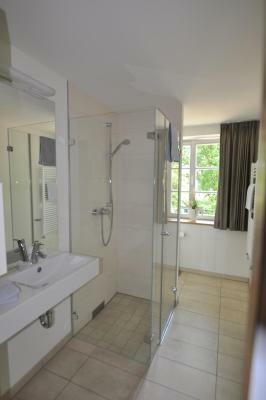 All rooms include a private bathroom with free toiletries and a hair dryer. All guest rooms include a desk. 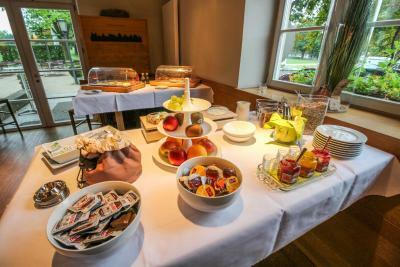 A buffet breakfast is available daily at Volkspark. 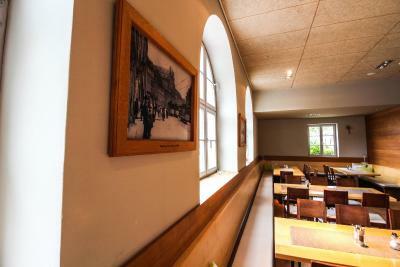 Bamberg Cathedral is 3.1 miles from Volkspark, while University of Bamberg is 2.6 miles away. 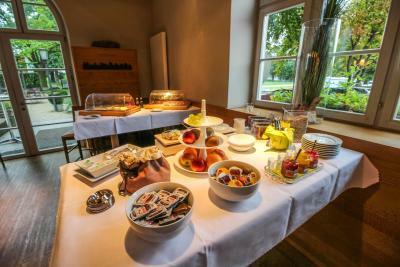 The nearest airport is Nurnberg Airport, 36 miles from the hotel. 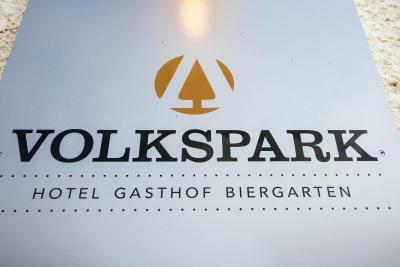 When would you like to stay at Volkspark? 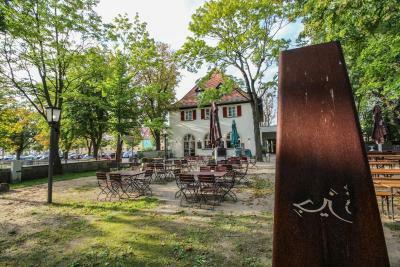 House Rules Volkspark takes special requests – add in the next step! Volkspark accepts these cards and reserves the right to temporarily hold an amount prior to arrival. Guests arriving on Mondays are kindly asked to contact the property via e-mail or phone prior to arrival. Everything was nice, hospitality perfect. Very limited choice for breakfast, no hot food and no refill so when we came down at 9am some of the things were already gone. Far from the old town but with public bus stop nearby. Whole experience was adequate with nothing to really dislike. There is no lift in the Volkspark Hotel. The Volkspark was very easy to find from the highway and very easy to park next to (there is a large car park right next door). We had a very welcoming and helpful hostess on arrival. She gave us a lot of good information about Bamberg. Our room was very spacious and airy, immaculately clean and modern. 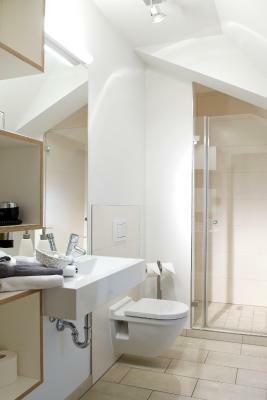 The bathroom was also spacious and new. It was a treat to have ample bathroom linens as well as somewhere to hang them all! The wifi was excellent and we were provided with complimentary sparkling water. The bed was very comfortable and there was a lovely soft blanket in the cupboard . There was no fridge or iron but there generally is not at three star hotels in Europe, I have found. There was no A/C or fan but thankfully the room was a good temperature, despite the summer heat outside. 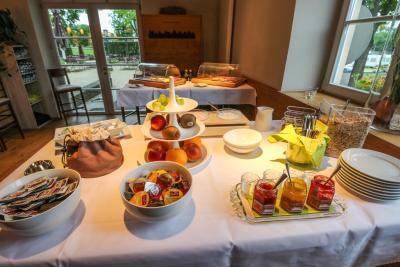 Breakfast was more than adequate, with the usual Continental meats, cheeses, yoghurt, cereals, breads and fruits. There is a bus stop to Bamberg Zentrum just a short walk down the street and Bamberg is a very beautiful and fascinating town. 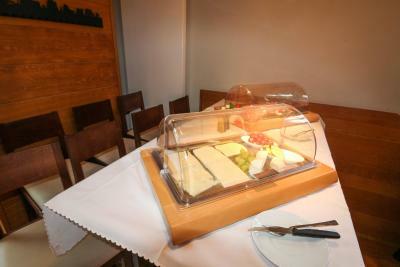 We dined in the hotel restaurant, which although it was a little pricey, was very delicious. 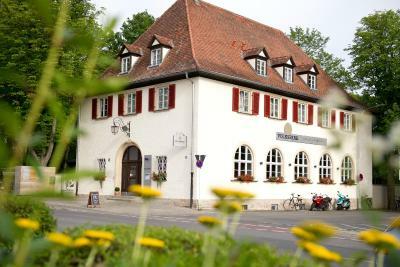 Our waitress was so friendly and helped us a great deal with the menu which was (mostly) beyond our rusty German. It was very hot while we were there and one of our rooms had only one small window so we could not cool the room down. There is no air-conditioning which is fine but it would have been nice to have had an electric fan (we asked, but none were available) to make it more comfortable.